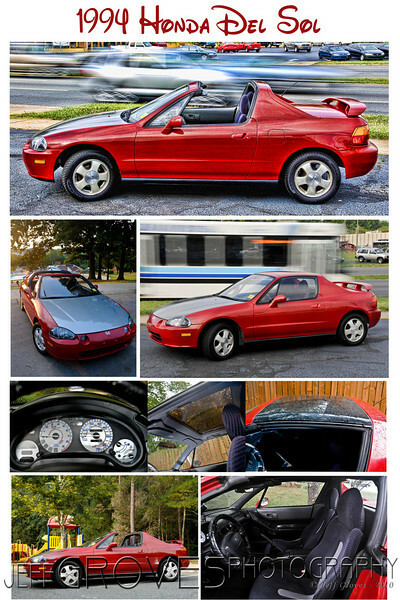 July 21 - 1994 Honda Del Sol I am planning to sell my 94 Del Sol and have put together this collage for an ad. Since I don't take auto photos very often and since I want to attract buyers, I am open to suggestions on how to improve this. Visit my ad on Craigslist to see how the posted ad looks.